I’m not one to use superlatives often. Call everything “the best” and people will begin to place a lesser value on your opinion thinking you’re won over too easily. But here I can say with confidence that this is indeed the best book I have read in many years. In fact, it might very well be the best book I’ve ever read, or at least one of the top three or four. 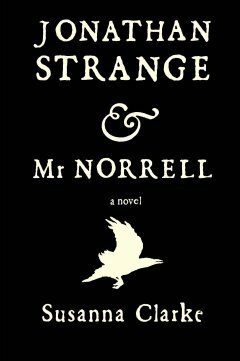 In other words, I can’t say enough about Jonathan Strange and Mr. Norrell by Susanna Clarke. What’s amazing to me is that this is a debut novel. It took Susanna Clarke ten years to write it, but it’s her first. Set in pre-Victorian England during the Napoleonic wars, Jonathan Strange and Mr. Norrell is part Jane Austen, part historical fiction, and part Lord of the Rings. It tells the story of the two titular magicians who rise to stardom in England centuries after English magic is all but forgotten and decayed. Magic used to be prevalent in England, thanks mostly to the long reigning King of the North and first great magician, The Raven King. But practical magic eventually ceased, and England was left with theoretical magicians, scholars who studied magic but who had neither the skill nor the inclination to actually DO magic. I don’t want to give away too much of the story. You’ll have to experience it for yourself. I knew hardly anything about the plot when I began reading and that, I’ve decided, is the best way to approach it. I would do you a great disservice by revealing more here. All I can say is that you won’t regret picking it up. Of course, you may find it a bit heavy; it’s 800 pages long and at first glance seems a bit daunting. But trust me, when the last page is turned, you’ll be begging for a thousand more. It’s terribly cliche to say so, but this book is pure magic.